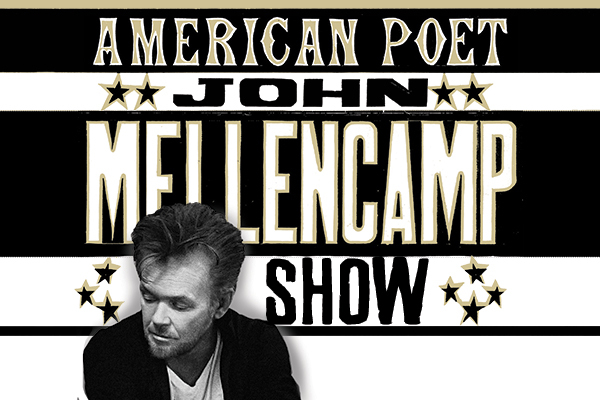 Thursday, April 11, 2019 at 8:00 p.m. | Doors at 7:00 p.m.
John Mellencamp’s career in music, spanning more than 35 years, has seen him transition from pop star to one of the most highly respected singer/songwriters of a generation. Mellencamp is incredibly acclaimed; he is a member of the Rock and Roll Hall of Fame, a Grammy winner, a recipient of the John Steinbeck Award, ASCAP Foundation’s Champion Award, The Woody Guthrie Award and the American Music Association’s Lifetime Achievement Award and more recently, the Founders Award, the top honor assigned by the American Society of Composers, Authors and Publishers. Additionally, he was recently inducted into the Songwriters Hall of Fame this past June. Artist Presale: Wednesday, November 7, 2018 at 10:00 a.m. – Thursday, November 8, 2018 at 10:00 p.m. 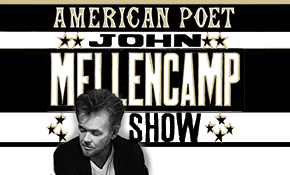 Artist presale is only available to members of John Mellencamp’s Fan Club – The John Mellencamp Community. To sign up, please visit https://bit.ly/2AFyP7i. The artist presale is available online only at Ticketmaster.com with the artist presale code. Venue Presale: Thursday, November 8, 2018 at 10:00 a.m. – 10:00 p.m.
Venue presale tickets will be available online only at Ticketmaster.com with the venue presale code. The venue presale code will be released via email to all venue subscribers at approximately 10:00 a.m. on Thursday, November 8th. If you do not subscribe to The Dow Event Center email newsletter and would like to receive the venue presale code, please sign up for our emails at https://bit.ly/2LC76Y2 by Wednesday, November 7th at 11:59 p.m.
On Sale: Friday, November 9, 2018 at 10:00 a.m.